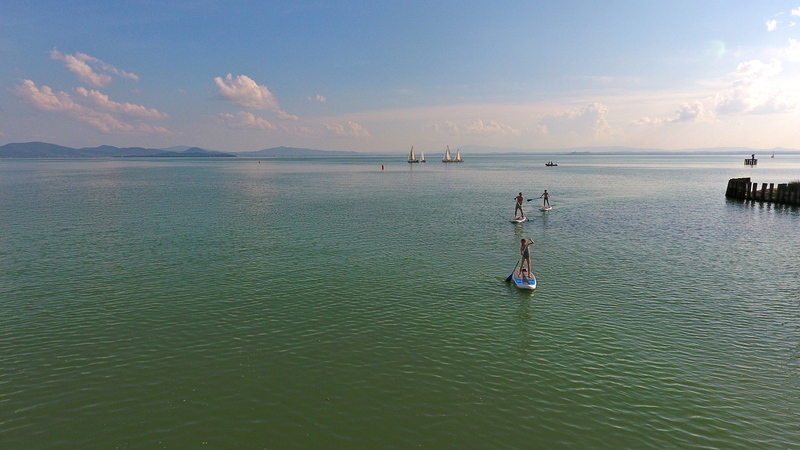 Paddle boarding on Lake Trasimeno is a lovely activity on a hot summer’s day. 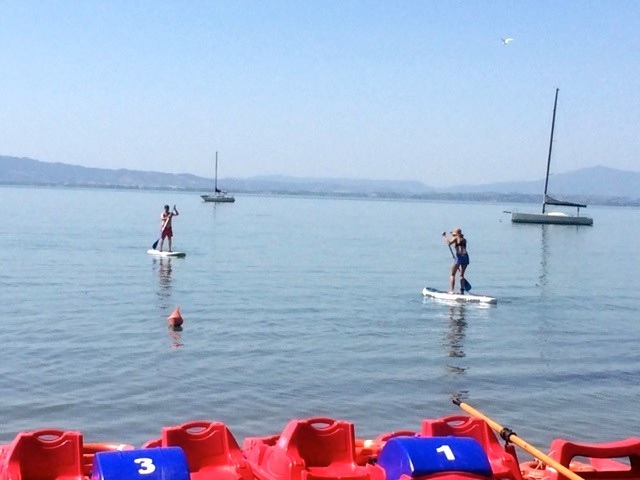 There are several beaches around the Lake where you can hire boards, these photos are from Sualzo Beach which is located next to Passignano Sailing Club on the north shore of the Lake. 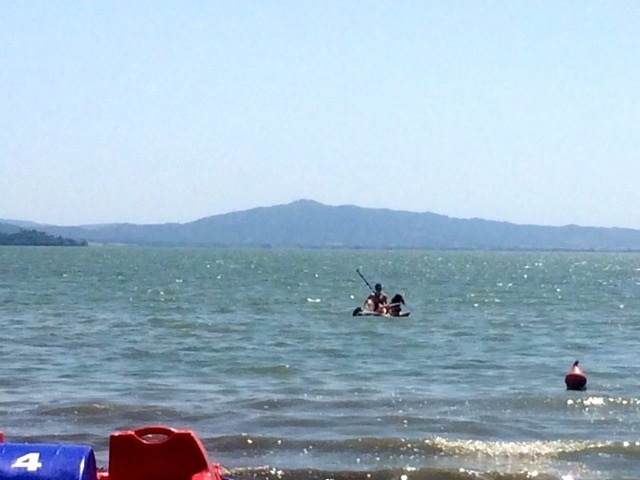 It doesn’t take long to get the hang of it and you’ll soon find yourself out in Lake looking back to the distant shore, if you find yourself overheating from the exertion you can always stop for a quick swim. It cost €10 an hour to hire a board.